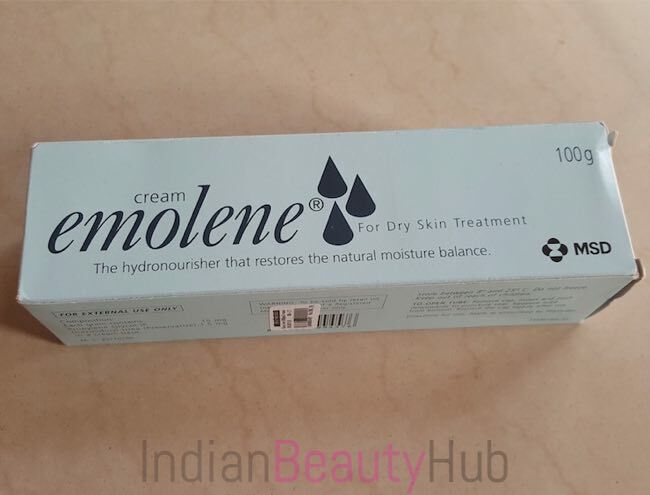 Hey everyone, today I’m reviewing the Emolene Cream for Dry Skin. Dry flaky skin is a very common in infants and it should be treated with some good moisturizer otherwise, it can lead to itching, rashes & other skin problems. Emolene cream is very gently on the skin and can be used on newborns babies too. I bought this cream for my little angel as she was suffering from dermatitis when she was 3 weeks old and our pediatrician suggested Emolene cream and Cetaphil Syndet bar to cure her dry & flaky skin. 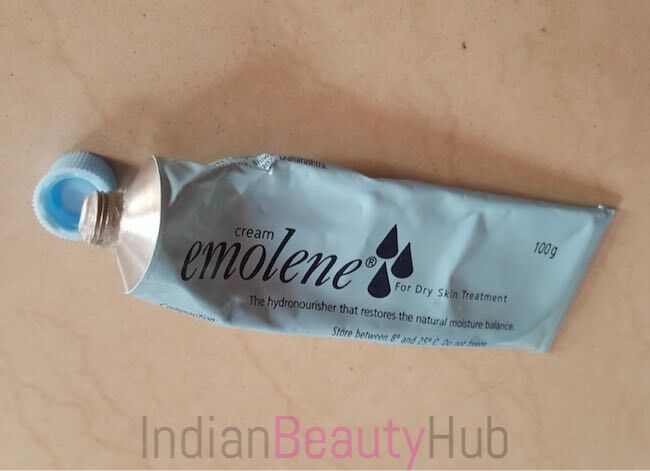 Packaging: Emolene Cream comes in a light blue metallic tube with a screw cap. The metallic tube packaging is not very convenient to use and it is quite difficult to replace the cap. 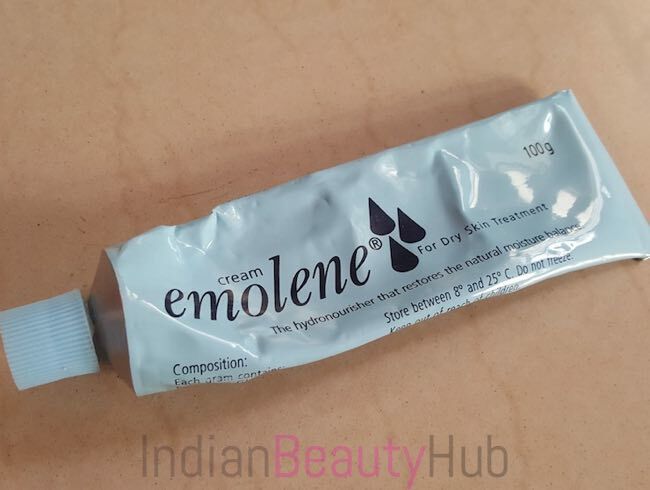 Texture & Fragrance: Emolene cream comes in a milky white color and has a watery consistency. It has a very faint smell which is almost unnoticeable. 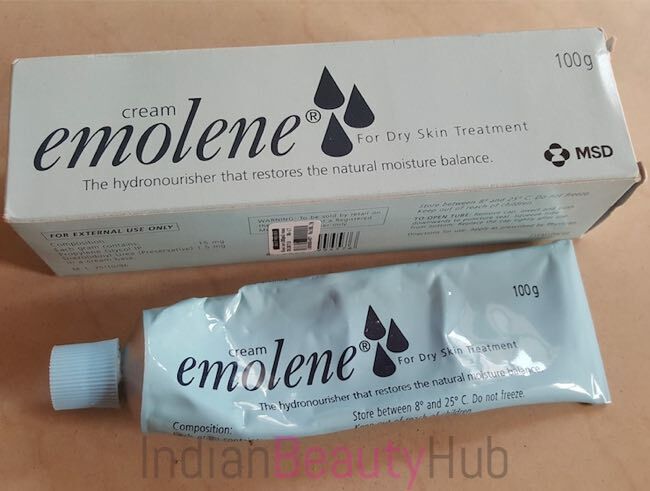 Price & Availability: The price of the Emolene Cream is Rs.120 for 50g & Rs.190 for 100g. It is easily available at a local pharmacy. Efficacy: Emolene cream has a very watery texture and it sinks into the skin completely with a good massage. It moisturizes the skin very well and leaves the skin soft, smooth & hydrated for a long period of time. Its non-greasy formula feels very light on the skin. It is very effective in healing dry & flaky skin and helps restore skin’s natural moisture balance. 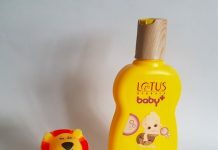 My newborn’s skin became almost clear after using this cream for 2 weeks. Even I used this cream many times and it healed the dry patches I was having on my cheeks. 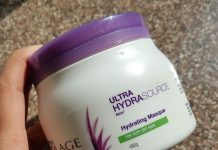 Very moisturizing cream that heals dry, rough and flaky skin. A non-sticky formula that feels very light on the skin. It can be used by men, women and children (even newborn babies). Doesn’t cause any irritation to my newborn baby’s skin. It can be used in all parts of the body including face. Comes without any artificial fragrance. Suitable for normal, dry and extremely dry skin. 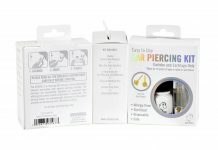 The metallic packaging is not very convenient to use, the tube could have been of plastic. Overall I really liked the emolene cream, it moisturises the skin nicely and heals even extremely dry skin. It helped cure my baby's flaky skin without causing any irritation. I'll definitely recommend this cream for those who have dry, flaky & rough skin, especially for treatment of dry skin in young children and infants. I’m also using this cream since one year, it’s too good for over-sensitive face which I have. 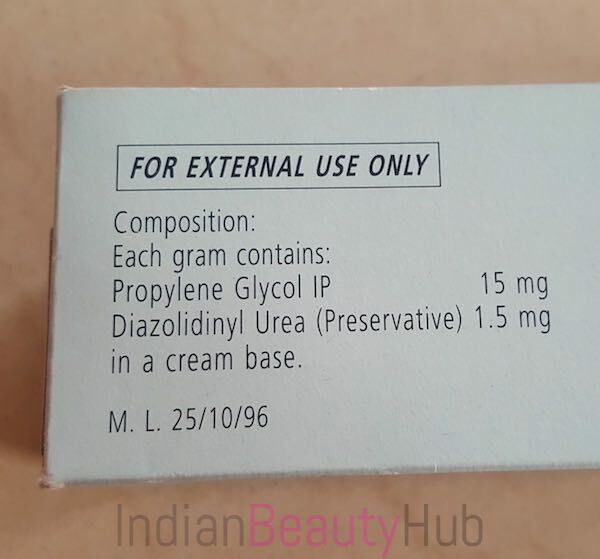 i have oily skin, what are the side effects of using this cream on oily face? Sometimes the skin becomes oily because it is dehyrdated and dry. The skin overproduces oil to compensate for the dryness. Regardless of your skin type, it is very important to moisturize it. I have combination skin..can i use this cream…..? Yes you can.. I’m using for almost for one year ..